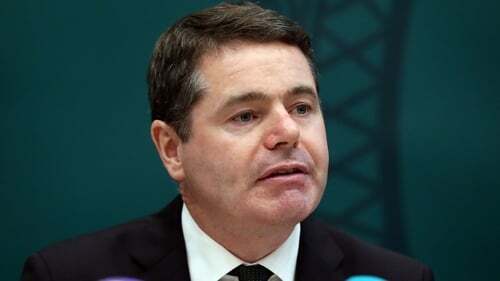 The Minister for Finance Paschal Donohoe has said the Government's commitment to the 12.5% corporation tax rate remains "steadfast" and will not change. Speaking at the National Economic Dialogue in Dublin Castle, Mr Donohoe defended Ireland's record on taxation policy saying Ireland had not received sufficient credit for measures it had taken to address tax reform. He cited the phasing out of the so-called "Double-Irish" tax break, eliminating stateless companies from the corporate tax code, introducing automatic exchange of information between tax authorities, and mandatory disclosure of tax planning. He said many other countries were still only in the process of implementing such measures. The Minister said that over the coming weeks, he and the Taoiseach would be revealing how they will implement many aspects of the BEPS reform process. He warned that other economies would be moving to lower the top line tax rates, but that Ireland's commitment to the 12.5% tax rate would remain steadfast. He said that while corporate tax is part of Ireland's competitive model, it is not the entirety of that competitive model.